The YorkvilleAP812 includes all of the power and features with eight mono channels. Channels 9 to-12 are configured in stereo with cueing switches and RCA inputs for disc jockey and/or live theater applications. Categories: Audio Rentals, Mixers –PA, Powered. 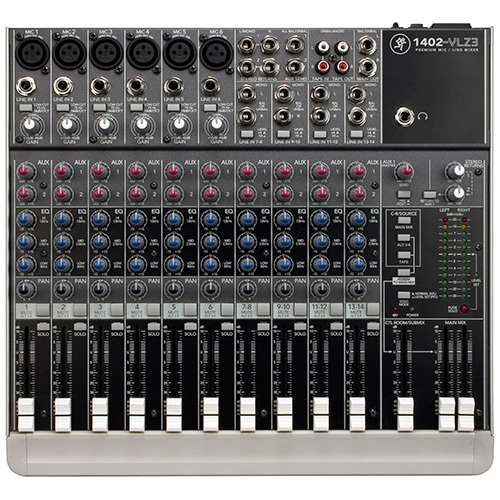 A powered mixer perfect for Live Events, Theatre and DJ Applications. The Yorkville AP812 includes all of the power and features with eight mono channels. Channels 9 to-12 are configured in stereo with cueing switches and RCA inputs for disc jockey and/or live theater applications. 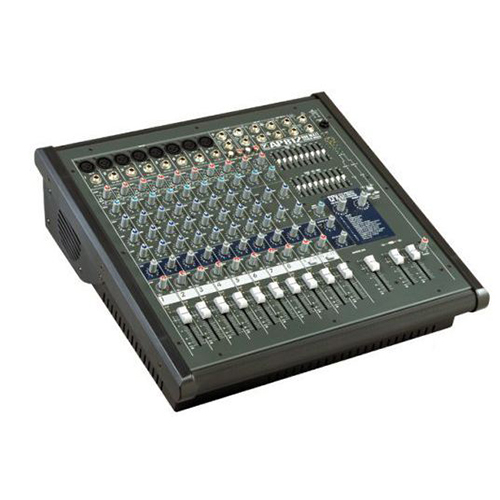 A powered mixer perfect for Live Events, Theatre and DJ Applications. The YorkvilleAP812 includes all of the power and features with eight mono channels. Channels 9 to-12 are configured in stereo with cueing switches and RCA inputs for disc jockey and/or live theater applications. 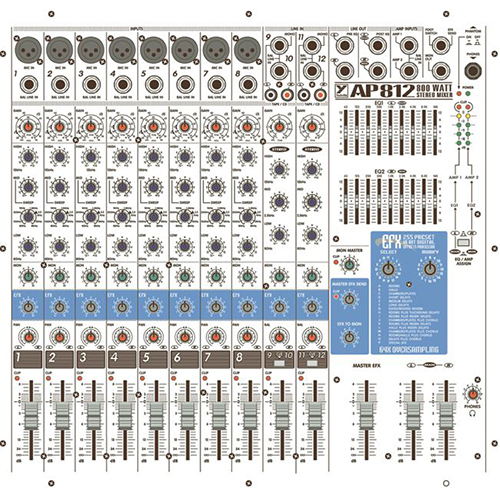 Audiopro mixers deliver the power and features required for today’s pro audio applications. Rubberized colour-coded rotary knobs and 60mm slide pots offer silky smooth operation. Internal SilentFan™ cooling provides quiet operation along with functional graphics and a non-slip wrist-rest. – Patching includes switchable mains / monitor amp assignment along with enough inputs and outputs for external audio processing. – Speakon™ and 1/4″ phone jacks are rear-mounted for convenient speaker output. – Inside, SilentFan™ cooling assures quiet, reliable performance. – Two assignable 9-band graphic equalizers. – A 255-preset digital effects processor with foot switchable in/out. – Two LED VU meters. 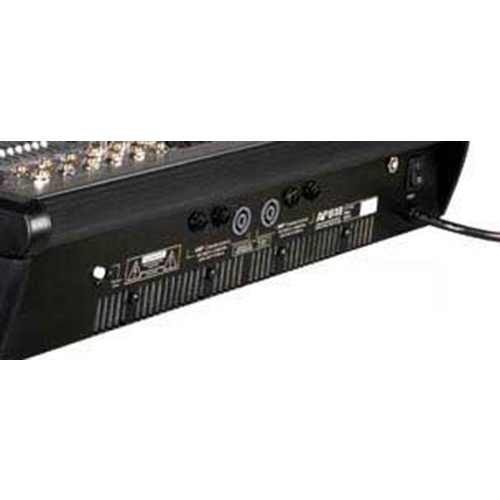 – Easy access top-mounted input / output jacks. Other Features	Selectable stereo mains or mono main & monitor.